Each Box contains Two Autographs, Two Rookies, Two Inserts, and One Parallel, on average! 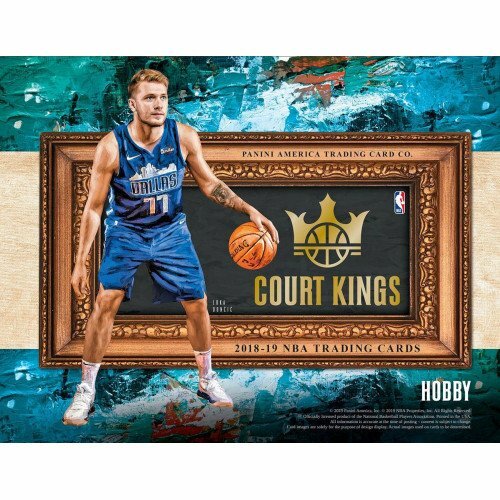 Look for Luka Doncic RCs! 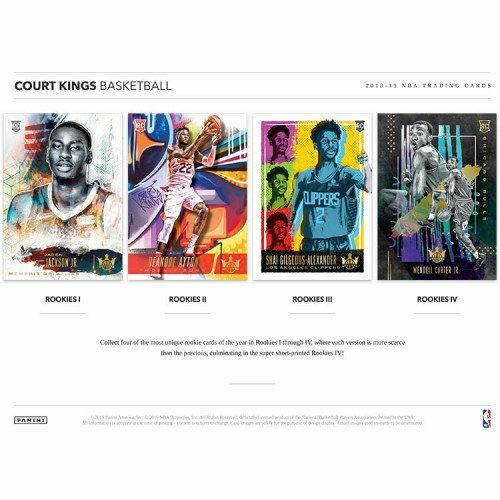 Court Kings is back with a new bonus twist! 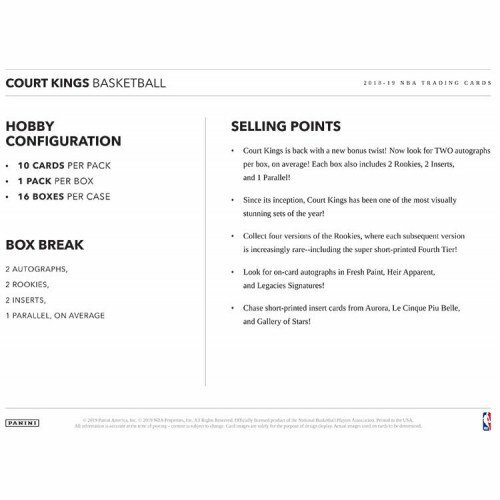 Now look for TWO autographs per box, on average! 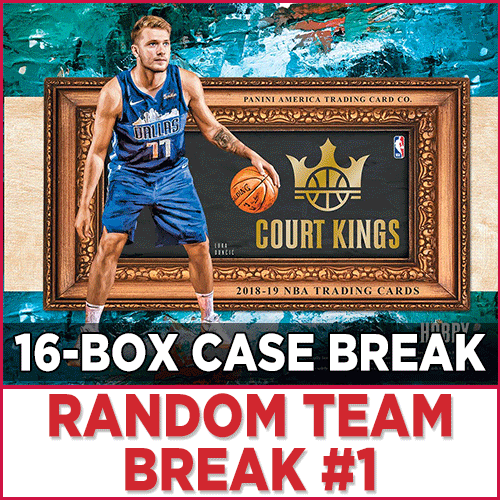 Each box also includes 2 Rookies, 2 Inserts, and 1 Parallel! Since its inception, Court Kings has been one of the most visually stunning sets of the year! Collect four versions of the Rookies, where each subsequent version is increasingly rare--including the super short-printed Fourth Tier! Look for on-card autographs in Fresh Paint, Heir Apparent, and Legacies Signatures! Chase short-printed insert cards from Aurora, Le Cinque Piu Belle, and Gallery of Stars! FRESH PAINT/HEIR APPARENT/LEGACIES SIGNATURES: All on-card autographs are limited to 199 or fewer copies of each! 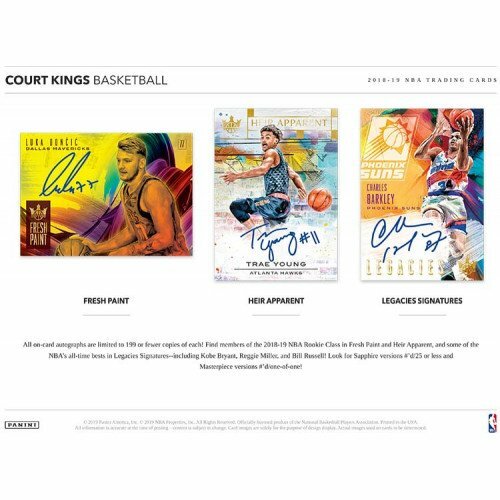 Find members of the 2018-19 NBA Rookie Class in Fresh Paint and Heir Apparent, and some of the NBA's all-time bests in Legacies Signatures--including Kobe Bryant, Reggie Miller, and Bill Russell! Look for Sapphire versions #'d/25 or less and Masterpiece versions #'d/one-of-one! ROOKIES I/ROOKIES II/ROOKIES III/ROOKIES IV: Collect four of the most unique rookie cards of the year in Rookies I through IV, where each version is more scarce than the previous, culminating in the super short-printed Rookies IV! 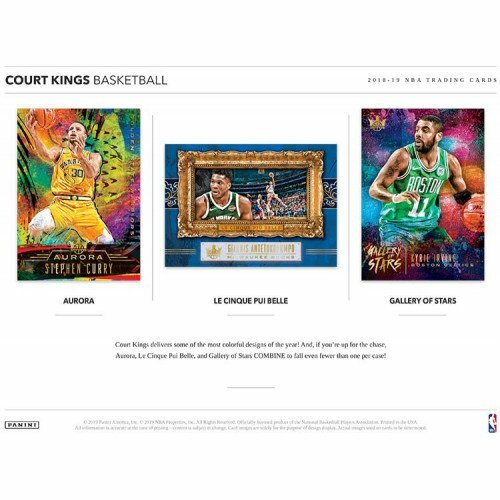 AURORA/LE CINQUE PUI BELLE/GALLERY OF STARS: Court Kings delivers some of the most colorful designs of the year! And, if you're up for the chase, Aurora, Le Cinque Pui Belle, and Gallery of Stars COMBINE to fall even fewer than one per case!